Wicked Little Yzzykins, Yzzles, Little Fat Yzzy-Cat! Best of Variety Foreign Neuter and reserve best neuter - Supreme Show 2013! ● Grand Champion Dushenka Irina Kalinina - three kitten shows, three times Best of Breed and Best of Variety Foreign Kitten Durham show 2013, Champion at 10 months and 8 days old in her first three adult shows, the same day as her brother - one with Best of Breed too! Yzzy seems to fancy herself as a bit of a computer whizz-kid, having managed to find the 'send' button when I was only half-way through composing an email (my follow-up email apologetically explained that I had been 'Yzzy'd' yet again - everyone who has ever met her understood immediately what I meant...). She has also managed to switch the computer off on occasion, and has opened up software applications I didn't even know I had on this machine! 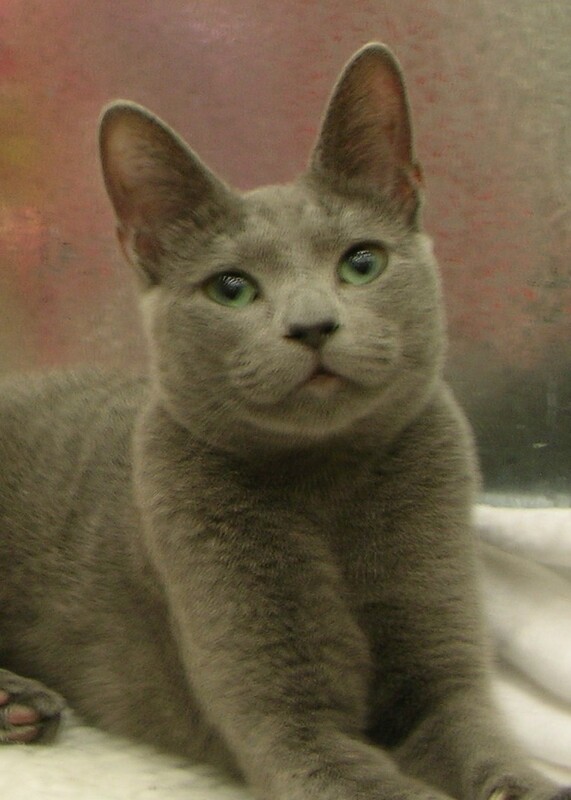 Yzzy is also cute, lively, loving and has a purr as huge as Stella's. She is a cheeky little thing, and plays up the 'cute' factor to get away with all sorts of trouble-making. The problem is, she worked out very early on that spontaneously bursting out into super-loud purrs, combined with enthusiastic licking and kissing would get her off any hook. I simply can't resist her.